We’ve spoken in depth about hour building before and what options are available out there in our How Do I Hour Build? article. But one option that we didn’t discuss was leasing an aircraft from a flying school or a specialist leasing company. It is generally accepted that the aviation jobs market is a good as it has ever been for the past ten to twenty years. Last year, Boeing published this report, stating “Over the next 20 years, the Asia Pacific region will lead the worldwide growth in demand for pilots, with a requirement for 253,000 new pilots. North America will require 117,000, Europe 106,000, the Middle East 63,000, Latin America 52,000, Africa 24,000 and CIS / Russia 22,000”. So, with this in mind, it comes as no surprise that flying schools up and down the United Kingdom are crying out for instructors, especially full time instructors, as instructors move on to work for the airlines. And for the larger flying school, this will in turn leads to some of their aircraft being under used. And its the under used aircraft that interests us! I recently contacted Ravenair at Liverpool (EGGP) about the possibility of dry leasing one of their aircraft and basing away from Liverpool for fourteen days. For those of you that are not aware, a dry lease means you have to arrange fuel and engine oil yourself. I received a response the very same day and I was surprised with just how positive their response was. It basically all depended on when they had an aircraft available and when they could get me in for a check out flight with an instructor. I sent them a number of fourteen day blocks for them to chose from and they came back with the one that suited them best, which turned out to only a few weeks after my initial enquiry. 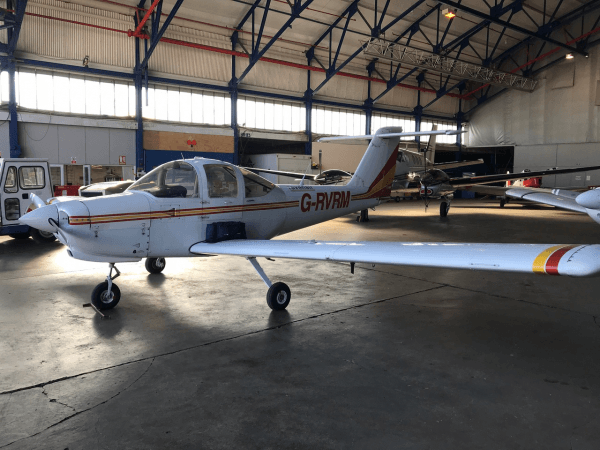 We agreed on a date for my check out flight with one of their instructors and they quoted me £50.00 + VAT per block hour for the dry lease of a Piper PA38 Tomahawk, very reasonable! Ravenair also stipulated that the aircraft had to be inside a hangar overnight, when it was at my chosen base, which was Hawarden. My check ride took place on a sunny Monday afternoon with Ravenair’s instructor, Owen. The check ride lasted for approximately an hour and half and consisted of a number of the skills that you covered during your PPL syllabus and have hopefully been keeping in touch with since. A number of stalls, spin recovery and practice forced landings were all covered before a small circuit session at Sleap Airfield. This was the first time that I had flown a PA38 since the start of my PPL tuition, having spent the majority in PA28 and the aircraft difference became instantly obvious. As well as a flight to check my abilities, the check out flight was a opportunity for me to spend some time with an instructor again, to iron out any of the habits and complacency that may have slipped in since passing my skills test. Owen’s skills and passion for general aviation were clear for the outset and I have a fun hour and a half with him. Check out flight complete and it was time to complete the formalities before I was allowed to take the aircraft away. Owen spent more time with me, going through the weight and balance sheet of the aircraft and the aircraft’s tech log. During the initial enquiry I had said that I wished to complete 50 hours of hour building on the aircraft, so, on the day of collection, I paid for half of those hours up front, the remaining hours would be paid on return. With all the formalities complete, I was free to take the aircraft, G-RVRM! Over the next fourteen days, I flew 51 hours and 10 minutes, taking in 16 different airfields. 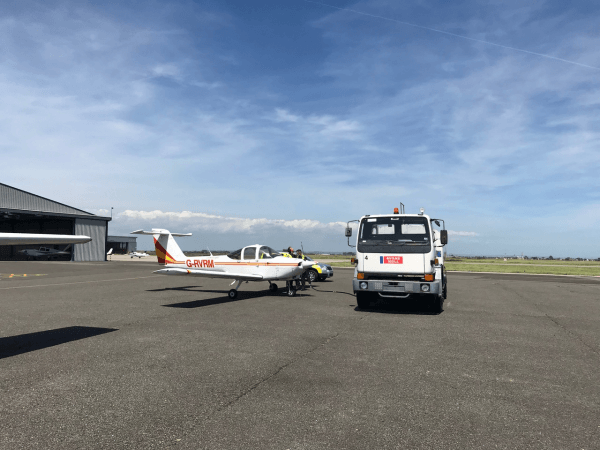 I was fortunate enough to visit some fantastic places like Jersey, where at around £15 for the landing fee and £1.14 per litre of AvGas, you’ll be hard pushed to find anywhere cheaper! I was privileged to visit the Isles of Scilly where, at the controllers suggestion, I took a small orbit of islands to take in the stunning scenery. I was chased round my overhead join into Chichester-Goodwood by a Spitfire and at Wellsbourne, I was number two to and Antonov An-2. Travelling round the country also gave me the chance to work various frequencies, receiving various levels of service. On my flights to and from the Isles of Scilly, I climbed to flight level 70 to receive a traffic service off Western Radar. Throughout the 14 days, I received a basic service from London Flight Information Service on many occasions. What a fantastic service they provide and its interesting to hear all the other aircraft on the frequency and where they’re flying to and from. For my open water crossing to the Isle of Man, Jersey and Isles of Scilly, I lodged a VFR Flight Plan via SkyDemon (every subscription comes with 10 free flight plan credits). As I mentioned earlier, I had this aircraft on a dry lease from Ravenair, so I would need to put my own fuel and oil into the aircraft. My suggestions for you, should you lease an aircraft on a dry basis, is to try and get yourself a deal on the fuel and oils at your chosen home base. You could commit to taking a given amount of fuel and pay for half or all of it upfront. You could also look into basing yourself in locations like Jersey, where Value Added Tax (VAT) is not levied by the local government. As I previously mentioned, I paid around £15 for a landing fee there, although this was broken down into around £7.00 for the actual landing fee and around £8.00 for a facility fee from Jersey Aero Club as a visitor. At the time of uplift (June 2018), AvGas was priced at just £1.14 per litre, you’ll struggle to get it cheaper anywhere on the mainland UK. If you’re planning to do any touch and go’s or approaches, you should research which airfields offer training packages or reduce rates for training flights. At the end of my fourteen days, I returned the aircraft to Ravenair at Liverpool, having completed 51 hours and 10 minutes and enjoyed every minute. The aircraft performed without a problem and without one technical issue. Ravenair were keen to keep in touch with me to find out what I’d been up to and even tracked me on FlightRadar24. All in all, great customer service. But Ravenair won’t be the only school out there willing to let you hire one of their aircraft. You should spend sometime researching and contacting your local schools. 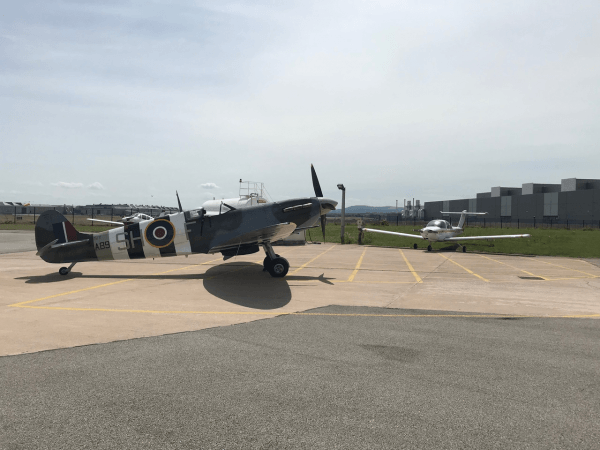 There are also companies like Fox Aviation based at Bagby in Yorkshire that specialise in hour building, although their availability is limited due to demand.